So, there are options. There is always a trade off. 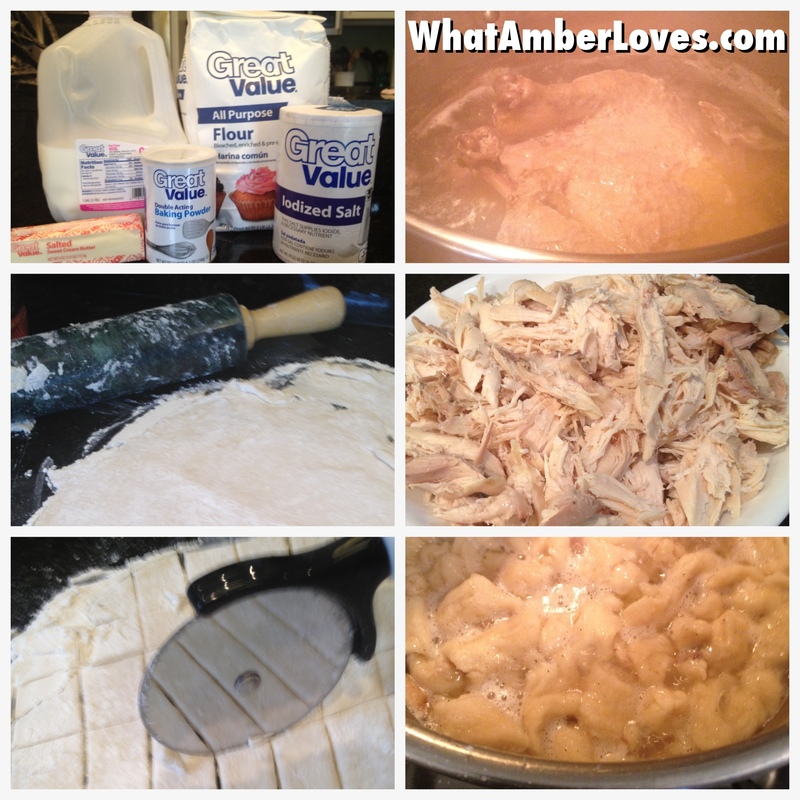 You can make Chicken ‘n’ Dumplings the fast easy way or love making them from scratch. What’s the fast easy way? Run into the grocery store and grab a Rotisserie Chicken, Box/Can of Chicken Broth, and a can of Buttermilk Biscuit dough. Bring the broth to a boil, drop in biscuits that you tear into four pieces per biscuit. Add chicken that you tear from the Rotisserie chicken. It’s actually a fairly decent solution for a semi-homemade meal. I’ve made it that way a time or two when I was pressed for time and didn’t want to wait at a restaurant or be forced into serving my kids fast food chains. It happens. You didn’t know you could make it that way? Well, now you do. You’re welcome. However, if you want a true made-from-scratch, better-than-you-could-ever-hope-to-find-in-a-restaurant style of Chicken ‘n’ Dumplings, then you’ll need to invest a little bit of time. It is worth it. It makes a large pot, so there are leftovers, and it costs far less than the “quicky” way, assuming you keep a few staples on hand in the pantry. *Pull the chicken and bones from the pot and place in a colander by using a screen/lg slotted spoon/etc, ensuring that you save the broth in the pot. *Cut up 3-4 medium new potatoes into 1/2″-1″ cubes and drop into the broth with a generous amount of salt and ground black pepper to simmer for an hour while your chicken is cooling. *Mix 2 cups of flour and 1/2 tsp baking powder and crumble in 3-4 Tbsp of salted butter. (I use my hands to work the butter into the flour mix.) Add one cup of milk. Mix until a dough forms. *Spread flour on your counter (lots) and roll your dough until it is about 1/4″ thick. Be generous with the flour on the counter and on top, because this flour is part of thickening your broth. *Cut your dough into 1-2″ squares; I just use a pizza cutter, because it is fast. *Raise the temperature of your broth and potatoes to a boil and drop in your dough squares one at a time into the broth. Gently stir once or twice, but do not mush them. Wait 5 minutes. *After removing all of the bones from your chicken, add the meat into the pot. Stir once or twice. Serve. 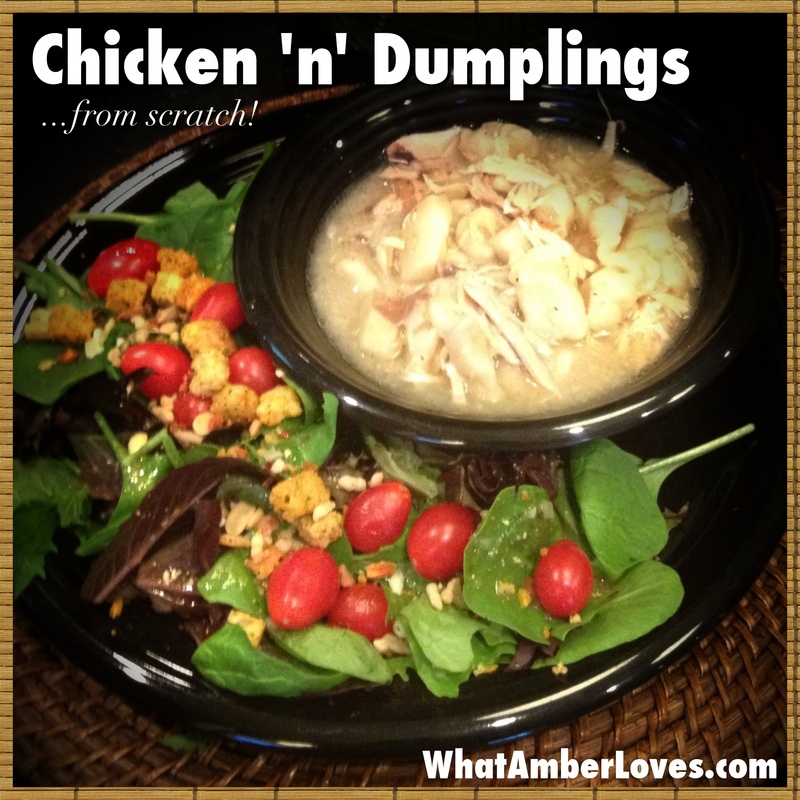 (I always get rave reviews on them… “Better than Cracker Barrel”… “How did you make your dumplings? !”…) Now, you know. The reason I made them today? Mitch requested them. His dad joined us for dinner. Since it is summertime and I usually only make this dish in the winter, I just served it with a salad and iced tea. Brownies for dessert were made by our middle daughter. Love. 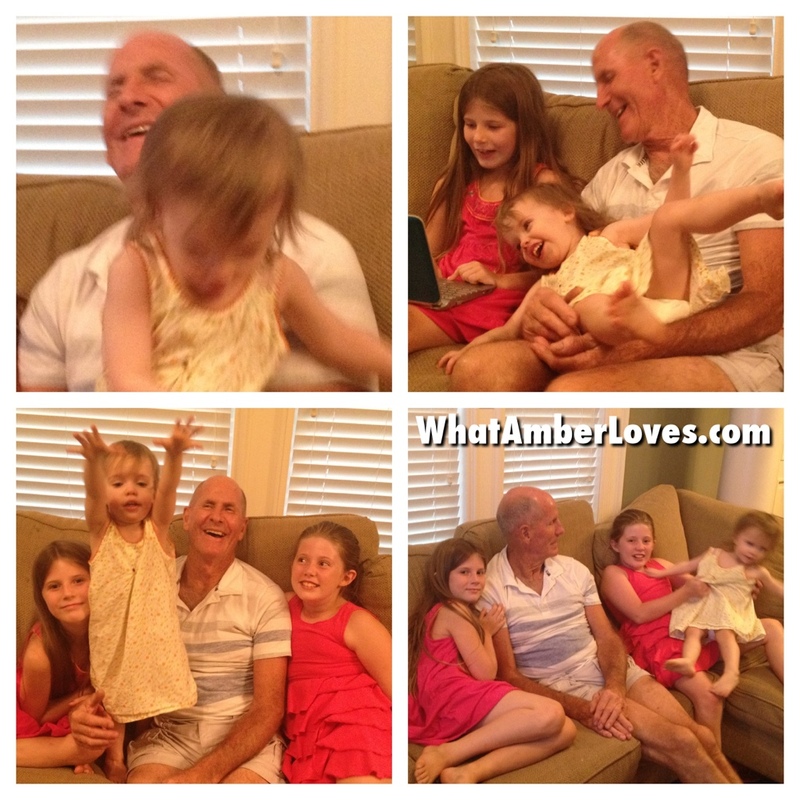 Here is a pic of Mitch’s dad and our girls, his granddaughters. Love. See y’all later! Good Night! 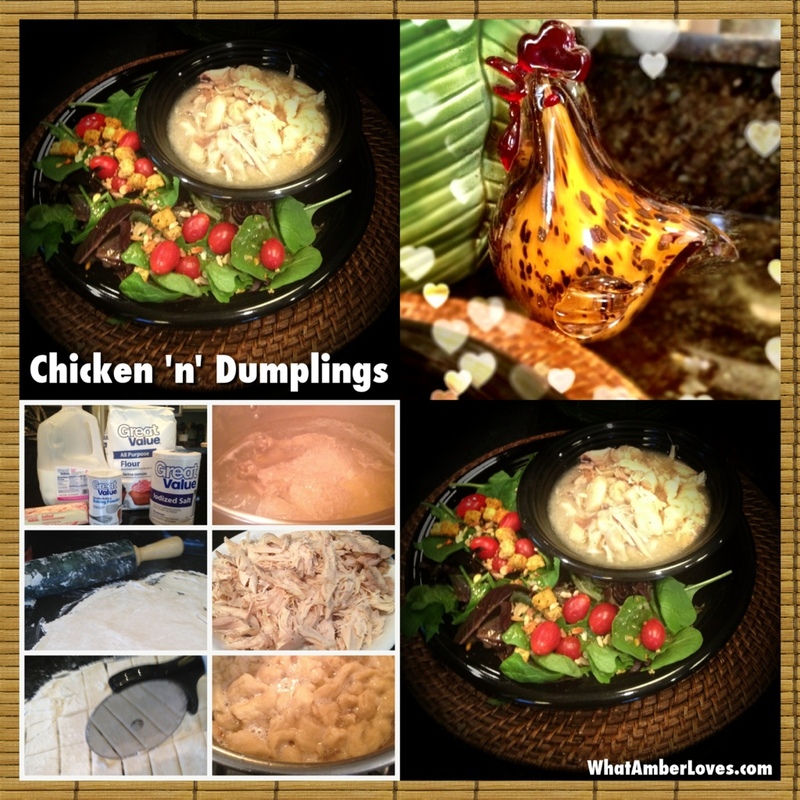 Posted on August 8, 2012, in Uncategorized and tagged chicken, chicken and dumplings, recipe, recipes. Bookmark the permalink. 3 Comments. I can’t wait to try this recipe. Where did you learn how to cook? 😀 My mother-in-law, dozens of cookbooks, and LOTS of trial and error through the years! Thanks for sharing this at Mom’s Test Meal Mondays! !